Pick up at the hotel in Ha Noi and then leave for Ninh Binh province (100 km south of Hanoi). 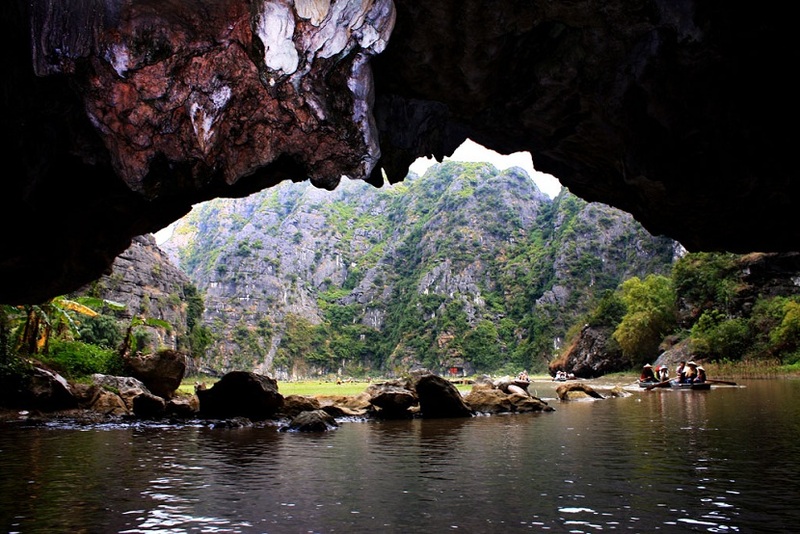 Arrival at Hoa Lu which is once depicted the ancient capital of Viet Nam, settled in the 10th century. Visit temples of two dynasties of Dinh and Le with the unique architectures from the old times. Short break for lunch at a local restaurant. Take the sampans boat to visit Tam Coc ( Three Caves) and drift down the river among the villages, mountains and lush rice fields. Pass through 3 caves “Hang Ca (First cave), Hang Hai (Second cave), Hang Ba (Third cave) to get a unique feeling of the underground system. Boat returns to the dock for back the hotel. Stay overnight at the hotel of choice in Ninh Bình city. After breakfast at the hotel, meet the guide and depart for Cuc Phuong national park. When arriving at the National Park, visit the Endangered Primate Rescue Center, a non-profit organization dedicated to the rehabilitation, breeding, research, and conservation of endangered primates, and to the protection of their habitats. Lunch at a house-on-stilts in the center of the park. Then continue into the park central and stop to explore the Prehistoric Man Cave (over 7000 years). On the way admire the primary forest with 1000 year Old Tree. If you agree to book, please email us at phamtoursvietnam@gmail.com how many people you are, all your fullnames, name of your hotel , room numbers, day of activities.